Ever dream of your retriever bouncing through heavy cover at the edge of a grain field carrying a rooster pheasant, or leaping far out into the waves of a large impoundment to recover the mallard you just dropped? Spencer will make your dreams come true with gentle, no pressure techniques in this hunting dog training book! If you're an amateur trainer who would like to train your own dog for hunting, this hunting dog training book is for you. Spencer, an avid hunter and a judge of AKC, UKC and NAHRA tests, shows you step-by-step how to train your own dog. From proper equipment to marks and blinds, it's all here. According to Spencer, an amateur has an advantage over a professional because you can take your time, build a strong rapport with your dog, and adapt your training methods to your dog. James B Spencer has an illustrious association with sporting dogs and professional writing. An award-winning writer, he is on the staff of Gun Dog Magazine, and is the author of Hup! 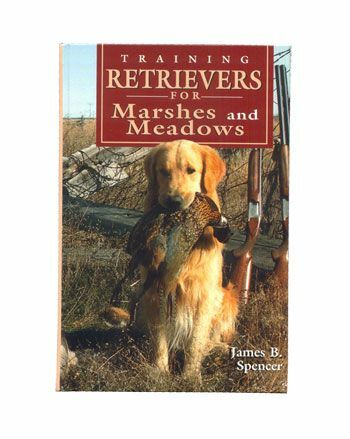 , Retriever Training Drills for Marking, and Retriever Training Tests.